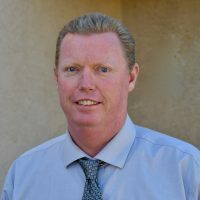 Stenson has lived in Arroyo Grande for the last 18 years, during which he has held numerous positions with the Lucia Mar Unified School District, including physical education instructional assistant at Harloe Elementary, teacher at Fairgrove Elementary, assistant principal at Judkins Middle School and principal of both Fairgrove Elementary and Mesa Middle School. More recently, Stenson served as assistant superintendent of curriculum and assistant superintendent of business. “Andy Stenson knows our school district inside and out and is a proven leader. His roots are in our community,” board Vice-President Vern Dahl said. He should look into a person who got a million dollar loan to build a second house. The new one is being built in Sea Canyon. Since when does the school district give huge loans to private citizens? And why are they forcing veteran teachers to quit and hiring new teachers at a lower rate. Then buying 80 thousand dollars worth of DUPLICATE books already in the school.